Dr. Raymond Stantz once referred to the the Tunguska Incident as the biggest interdimensional cross rip up until the time the Gozhr the Gozharian tried to destroy all of humanity by taking the form of the Stay Puff Marshmallow man. The Tunguska incident is one of the most talked about unsolved mysteries of the 20th century. Folklorists, scientists, historians and the like have spent a century now trying to discover what actually happened back in 1908. That’s how I started off my original review of Tunguska back in 2006. It was my second favorite adventure game of the year and ended up making my “Top Ten Games of 2006.” So here I am four years later, reviewing the Wii port of the game. I should point out I have been waiting for this since about 2007-8 and god knows every time one of my staff goes to a Deep Silver/SouthPeak event I arm them with two questions, “When are we getting the Wii/DS versions of Tunguska and when are we getting Secret Files 2?” I’ve come close to pulling the trigger on importing SF2 numerous times, but since I’m always swamped with reviews, I’ve never had the chance. Looks like that game is finally hitting North American shores in early 2011 on the DS, Wii, and PC (My preferred way to play Adventure games). 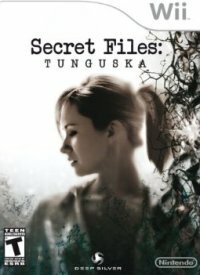 So, how does Secret Files: Tunguska hold up four years later? We’ve seen another game from the mid 2000’s finally get released in North America (Sakura Wars: So Long My Love), and despite its age, it’s our frontrunner for GOTY right now. Has SF:T held up as well? Although the Tunguska Event of 1908 is the catalyst for the story, very little of the plot revolves around it. You play as Nina Kalenkov, the daughter of a prominent expert on the Tunguska Event. Nina goes to her father’s lab one day to find it ransacked and daddy dearest is nowhere to be seen. This sets Nina and one of her father’s colleagues at the museum he works at, Max Gruber, onto an adventure featuring secret societies, conspiracies, double crosses, mental asylums, and more. You’ll be going everywhere from Berlin to a climatic encounter in Antarctica. In my original review, I really enjoyed the story but found the ending to be weak and anticlimactic. After the review, The Adventure Company (publishers of the PC version of SF:T), released a patch containing a new ending that was not only a lot better, but had some great comedy bits. I’m happy to say the Wii version has this new ending, and a few added cut scenes to boot. Although the endgame gets a bit out there and involves aliens, the real Tunguska incident has always been theorized to have been caused by extraterrestrial origins, so I can give that a pass here. If you play games for a good story, you’ll definitely find it in Secret Files: Tunguska. You’re getting even more story than the original PC release, and the ending is worth it for the better resolution and comedy bits at the end. You’ll find memorable characters, a fun story, and a definite adventure game franchise in the making. I raved about the graphics in the original Secret Files, so I was a bit worried how the port would go. Although the graphics have indeed aged, it’s still a nice looking game, and one of the prettiest titles on the Wii, especially in terms of background and character designs. There is a bit of slowdown that runs throughout the Wii version of the game that wasn’t present in the original, but it’s generally at the beginning stages of a new locale or when a long animation sequence involving an item begins. I was actually afraid the game was going to crash like I’ve seen happen with other PC-to-Wii ports ala And Then There Were None, but it never happened. You also might have noticed my recent complaint in my review of Hotel, where your character would end up miming an action because the item she was using did not appear and/or animate with her. Well that doesn’t happen in Secret Files: Tunguska. Everything is highly detailed and the animation is fluid. I’m really happy with the quality of the cut scenes here too. They are amongst the best I’ve seen on the Wii, and for a four year old game, I was impressed by how good this game looks in 2010. The port to the Wii isn’t without some issues and the graphics aren’t obviously top of the line like they were in 2006, but it’s still a beautiful game to watch unfold before your eyes. There’s no real music to the game. There’s an opening and closing theme, but that’s about it, and both are largely forgettable. The voice acting is average. I didn’t mind the actors exactly, except that the two main characters are German and they sound like they are from Canada. Indeed, everywhere your characters go, it’s the same. Cuba? They sound like Canadians. Russia? Canadians. Ireland? Canadians. Not that there’s anything wrong with the Canadian accent, but I would have really appreciated it if the people had some semblance of an accent from the region they are supposed to be from. Even ignoring that, the voice acting is a mixed bag, with actors occasionally mispronouncing words or having little to no emotion. The voice acting here wasn’t as bad as say, Shining Force Neo, but there wasn’t anything especially good either. It was the level of voice acting we’d see back in the days of the Sega CD. Just a mediocre performance in all. I know that the entire voice cast was replaced for the second game and I was half expecting the original voice overs to be gone in the port, but nope. Same old, same old. As you can imagine, going from a mouse and space bar to a Wiimote took a bit of getting used to. It’s not the game’s fault, but rather my brain constantly going back to the PC version of the game. I kept confusing the A and the B button in regards to what they did. Finally I held the Wiimote sideways like a gangsta so the buttons were in a more mouse-like position and I did just fine. The A button is your primary button, as it controls your ability to move, talk to people, pick up objects and combine items in your inventory. The B button gives you Nina or Max’s internal monologue. The control pad brings up your inventory, the – button brings up your character’s diary, which summaries the plot to the point you are at so far, and the 1 button brings up the “magnifying glass” or a quick shot of what objects can be interacted with on screen and where they are. This helpful tool was almost unheard of in 2006 but has since become pretty standard in the genre, and it’s mostly because of this game. 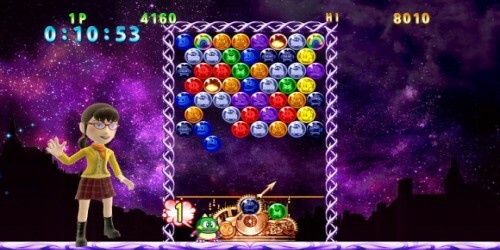 The original game also introduced the “double click to quickly jet to the next location” option, which has also seen a rise in use since 2006. My only problem with the port is that the graphics that show up when you click the magnifying glass or when you approach the entrance/exit of an area don’t actually match up with the clickable area. This means you’re in for a bit of irritation when you try to leave someplace. As well, some exits are partially off the screen in the Wii version, making it that much harder to click on them. Neither of these were problems with the original, but I guess something had to give in the port and it was minor gameplay issues. 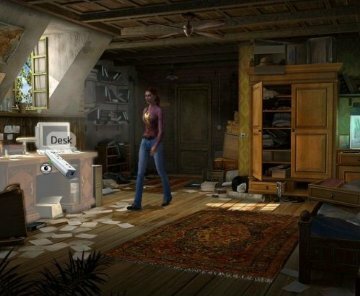 In 2006, Secret Files: Tunguska had a pretty innovative engine, and along with Barrow Hill, it really brought me back into adventure gaming. In 2010, it’s no long as revolutionary and it has a few bugs it didn’t have in the original incarnation, but it’s still a blast to play through. 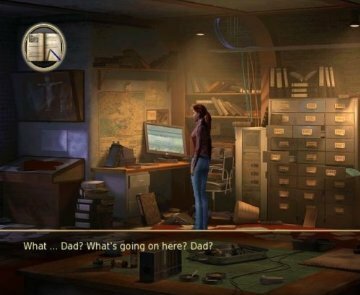 Sadly, like nearly all adventure games, Secret Files: Tunguska is a “one and done” title, meaning that the game is exceptionally linear and will unfold exactly the same each time you play it. From looking at my 2006 review, my original playthrough was ten hours. On the Wii, it was five and a half. 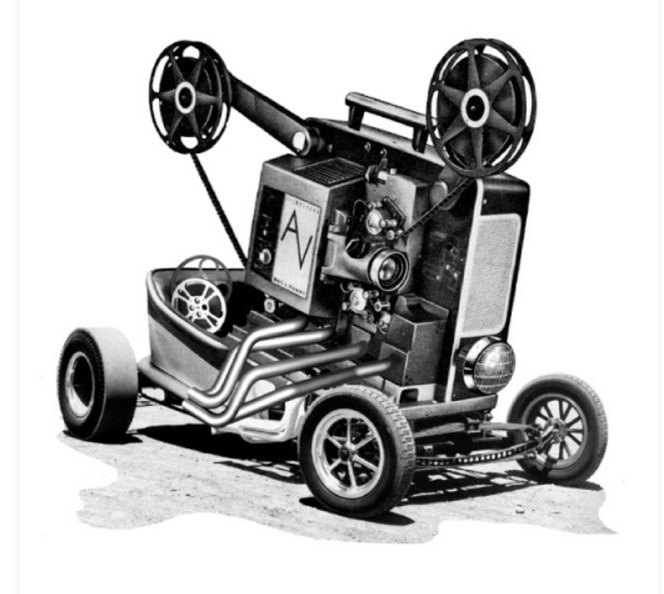 This doesn’t mean the game was cut in half. No, everything is still there. It just means I didn’t have to try all sorts of crazy combinations and guess and check efforts on puzzles. I remembered nearly all of the game, so I was able to speed right through it. That’s why these games are considered “one and done.” Because unless the story is awesome (ala Grim Fandango), you’ll never need to play one of these again. To be honest, had I played this a year or two after my original playthrough, I would have probably been bored and annoyed due to the linearity. Four years was a great gap though and I still found myself enjoying the events unfolding before me. The MSRP of only $19.99 makes the lack of replay value in this game much easier to swallow, especially considering how much the PC release was when it came out ($39.99). As this is one of the best modern adventure games in the past few years, this budget price makes it easy to recommend to anyone, even if it’s a game you can only play once every few years. If there is one crime Secret Files: Tunguska is guilty of, it’s backtracking. You know what I mean – puzzles that can only be solved by constant trekking across locations, using objects in one place and then going to Point B to use the newly made object there and then back to Point A. I hate that and SF:T does that a LOT. As well, the game does have some puzzles where the solutions are far from logical, and so there will be a few instances of guess and check for you as you try each of your inventory items on an area in an attempt to proceed onward. Now, most of the puzzles don’t have this problem, but sometimes you’ll be sitting there wondering how to proceed as I did when I first played this game four years ago, when it will turn out you have to do the same exact interaction with an object twice (which is practically unheard of in this genre) or you have some strange gap of logic in regards for what to do, such as using a fork on a painting to act as a doorstop in Cuba. Weird. 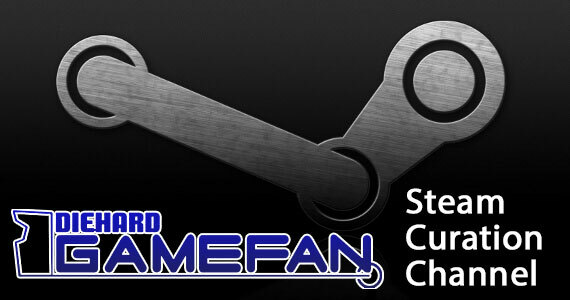 So as this game does things that throw even long time adventure gamers off, it just might flabbergast casual gamers or those new to the genre. I have to admit, this is one area that didn’t age well. Even though I did a speed run through this game, I caught myself remembering how long it took me to figure out some of these puzzles way back when and how convoluted they were. As a re-release, this is another area where the game loses points. 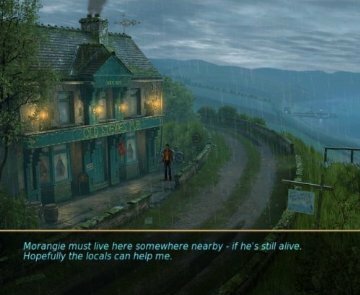 What was fresh in 2006 is actually standard fare these days, and when held up to contemporary titles in the genre like Heavy Rain, I can’t deny this loses a little something. For 2010, this is a pretty standard adventure game in terms of gameplay. However, the striking visuals, fun characters, and nice use of historical fiction still manages to keep SF:T head and shoulders above a lot of its younger competition. This was the real test of Secret Files – how much of an attention span could I have replaying an old adventure game that I’ve already beaten, even if I really enjoyed it the first time around. As games like Runaway and the Strong Bad collection have shown, it’s not very much. So imagine my surprise, when I played through and beat SF:T in two sittings. That’s it. I remembered how much I loved these characters, the locations, and the puzzles and I whipped right through it. The added cut scenes and better ending made the repeat playthrough more than worthwhile and it reignited my burning desire for Secret Files 2 to finally get released stateside. Like the PC version, I have no need to play this game for several years, but now I can play it without worrying about my operating system no longer being compatible with a CD-ROM and the other banes of PC gaming. I won’t deny that the challenge might throw off some gamers, but I still enjoyed SF:T almost as much as my first playthrough. 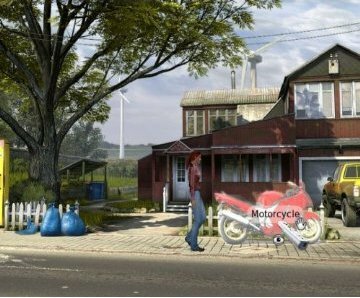 On one hand, Secret Files: Tunguska is a really fun game that a lot of gamers should experience, regardless of their previous exposure to point and click titles. On the other hand, some of the puzzles are convoluted and illogical, so it might drive younger or more casual gamers batty. With a price point of $19.99, SF:T is one of the best budget games available for the Wii and I really can’t think of a better $19.99 title to invest in, especially if your Wii has been collecting dust for some time. 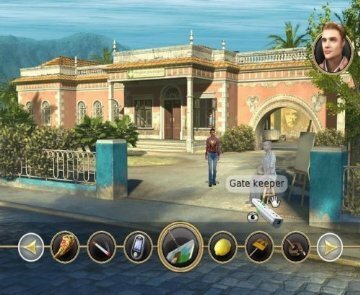 At the same time, Deep Silver really isn’t well known in the states due to a smaller advertising budget than most other companies, meaning most gamers probably don’t even know this game exists, much less than it was originally a PC game back in 2006. 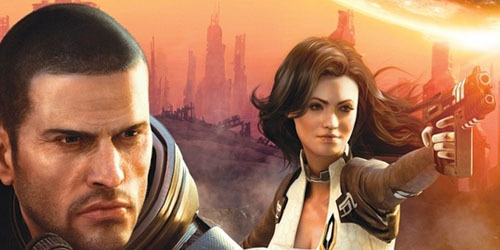 The Wii has actually had a pretty good 2010, and SF:T is one of those games whose story and graphics will satisfy even gamers who are used to a more action-oriented genre. Thanks to the resurgence in point and click popularity this year thanks to titles like Heavy Rain, SF:T might finally find an audience in North America akin to the one it has across Europe. It’s great to see Deep Silver finally bring the Wii and DS versions of Secret Files stateside. Giving them a price point of only $19.99 only makes their belated arrival all the sweeter. Again, SF:T is one of the better point and click titles released in the past few years and if you haven’t experienced it on the PC for whatever reason, you don’t have that excuse anymore. SF:T has become the best budget title of 2010, and I really hoping we don’t have another four year gap between this and the Wii/DS versions of SF2. Secret Files: Tunguska was one of the best games of 2006, and four years later, its port on the Wii still remains a fun title, especially for its budget price of $19.99. Sure the controls are a bit off with a port from the PC to the Wii, and the graphics aren’t as cutting edge as they were, but the story, characters and overall feel of the game are as dynamic as they were when I first played it on the PC four years ago. Like Sakura Wars: So Long My Love, Secret Files: Tunguska, proves that a title might be several years old when it is finally released in North America, but that a quality title is able to hold its own against modern releases. Besides, it’s only $19.99! It’s almost a crime not to experience one of the best point and click titles of the past decade.